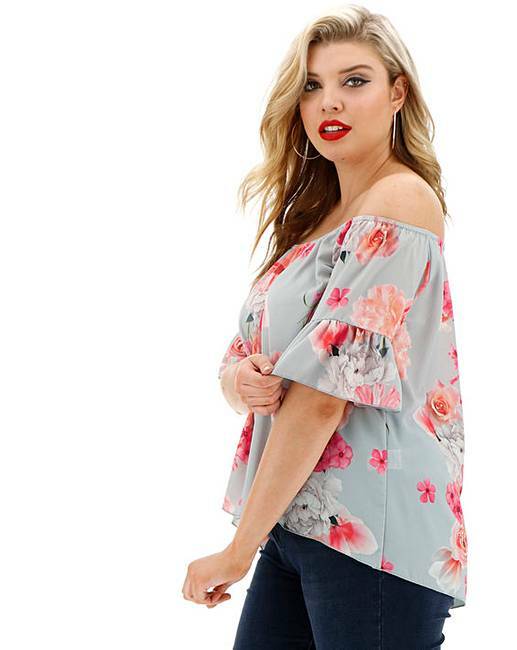 The perfect summer top is brought to you by Quiz Curve. 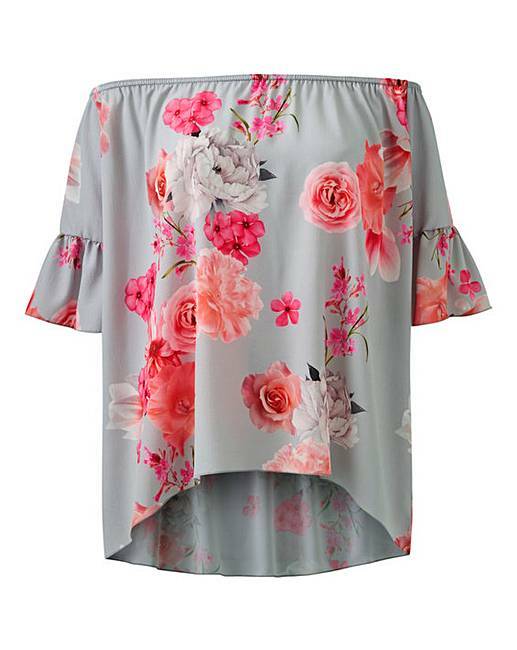 This Bardot top comes on a grey base with a colour popping pink all-over floral print and features a frilled-sleeve detail. 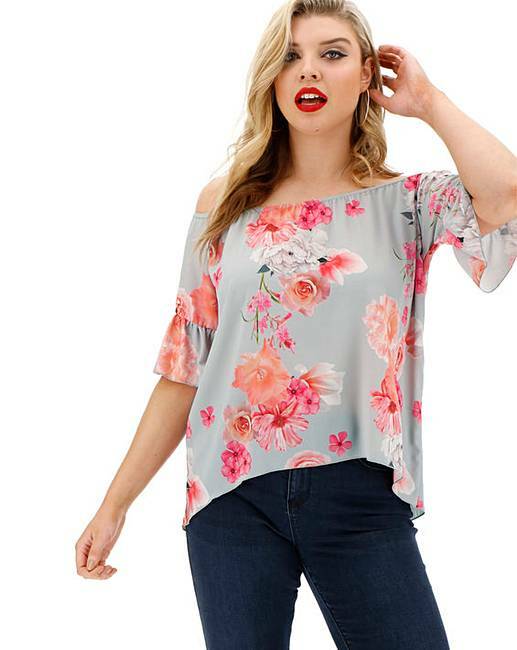 This is a great top for brightening up any outfit!